November is Alzheimer’s Awareness Month. Many assume Alzheimer’s disease only effects those of old age, but nearly 200,000 Americans under 65 have early-onset Alzheimer’s disease. Another common misconception is that Alzheimer’s is an unavoidable, normal part of aging. In fact, there is an ongoing worldwide effort to find was to treat the disease, delay the progression, and prevent it from developing at all. Alzheimer’s is a progressive brain disorder that damages and eventually kills brain cells. 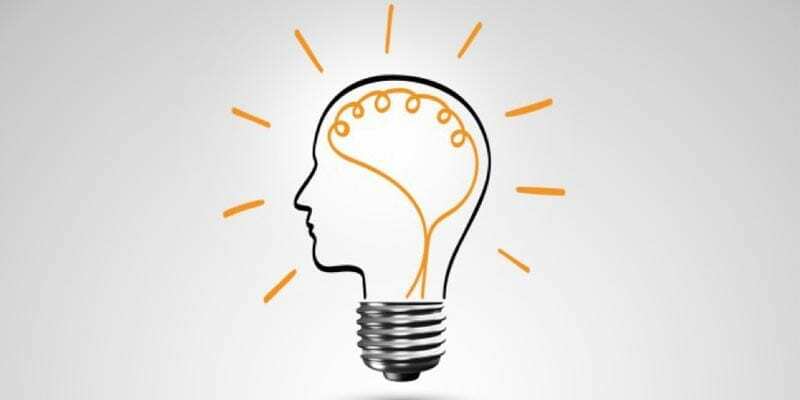 Consequently, short-term and long-term memory are compromised, normal thinking patterns change, mood and behavior changes, and everyday brain functions are greatly affected. At its worst, the disease ultimately turns fatal. Neuroscience research is proving beneficial in finding effective treatments although as of now, there is no cure. Research is also helping us better understand how to best care for individuals and families experiencing the effects of the disease. Research is supporting the fact that mental health practices may prevent or delay the onset of the disease. Alzheimer’s is complicated; caused by a combination of genetic, lifestyle, and environmental factors over time. The key to prevention or delaying onset is keeping the brain sharp. High blood pressure hardens the walls of the arteries making it difficult for blood to flow to all parts of the body including areas of the brain. High blood pressure also increases risk of white matter hyperintensities which are associated with cognitive impairment, triple the risk of stroke and double the risk of dementia. Type II diabetes is a strong risk factor for Alzheimer’s. Manage your blood pressure by reducing intake of sugar. Check the nutrition label and ingredient list and aim to have less than 35 grams of sugar each day. Fill your plates with more whole plants and vegetables. Lastly, lower blood sugar by making exercise your routine. The term cognitive reserve describes the mind’s resistance to damage of the brain. Cognitive reserve is achieved by continued involvement and practice of mentally stimulating activities. Sitting watching TV would be an example of little to no stimulation. Whereas reading a book, doing a crossword puzzle or Sudoku, would be an activity of high stimulation. Keep your brain stimulated by continuing to learn new things; go to a cooking class or art class, learn a new cooking recipe, buy a word or puzzle book to do before bedtime, read a new book or join a book club. Culture – it’s not just a buzz word or a trendy fad. Company culture plays a significant role in unlocking the potential of your employees’ & company’s success. So, what exactly is company culture? You’ve done all your research and know the benefits of bringing a wellness program to your employees. Now what? A critical next step is to get your top leaders to buy-in to wellness (not just sign off, but truly support and believe in it). I love working at OnSite because I get to help promote and encourage others to live a healthy and happier lifestyle! I also get to work with the most amazing team of kind, passionate individuals. Fitness, running, coaching, but most of all spending time with my two boys, Charlie and Andrew. We are trying to visit every Major League ballpark. It’s our happy place. I played an exhibition basketball game in college at the venue in Sydney, Australia that would eventually host the 2000 Olympics. There is nothing more rewarding than seeing others become confident in their abilities and grow within their own wellness goals. Wellness is not only a journey, but an always learning experience that is meant to be shared. Anything cardio or in the wilderness is my favorite. Mix that with my family and friends and I’m in my ultimate happy place. I was a 4x State Champ in the Long Jump in Wisconsin. The opportunity to connect with others, learn about their journey, and help them develop lasting healthy habits is just one of the reasons I work at OnSite Wellness. The best added bonus is being surrounded and encouraged by fellow health junkie coworkers! Also, I am driven by curiosity so being able to work with a large variety of people keeps me excited and eager for what’s to come. Learning, continuing to grow personally & professionally, spending time with family & friends, reading, being outdoors, visiting wineries, Whole Foods, plant-based nutrition, helping others and living a healthy lifestyle. When I was born a birth announcement memo was sent throughout The White House which stated my name, time of birth, height/weight, and congratulated my parents! President Reagan was in office at the time. I have always been passionate about living a healthy lifestyle and assisting others on their wellness journey. I appreciate the opportunity to work for a company that strives to help individuals realize their well-being potential and to achieve their best quality of life. My family and our two very spoiled golden retrievers! I like to cook, garden, read and spend time at the beach. I’m also an avid runner. I’m always finding ways to push my body and learn new fitness skills. That rope we all had in gym class – I can finally climb it! Dr. Susan Baker D.O., joined OnSite Wellness as its’ Medical Director in the summer of 2015. Dr. Baker graduated from the University of Osteopathic Medicine & Health Sciences in Des Moines, IA and completed her family practice residency at St. John Hospital in Detroit, MI. She is board certified in family practice. Dr. Baker and her husband, Dr. Bruce Baker, have operated Kentwood Family Physicians P.C. in Grand Rapids, MI since 1991. When Dr. Baker isn’t working she enjoys her horses, golf, and spending time outdoors. She loves teaching wellness classes and helping others to make lifestyle changes. Ludie is a native of Tennessee. She received her BS in Dietetics from Tennessee State University and completed her internship at Vanderbilt University. She has worked in several areas in the healthcare field, including both the clinical and outpatient settings at Spectrum Hospital, teaching in the school of nursing, and consulting for nursing homes and the Kent County jail. Ludie has spent her last 16 years working in the Wellness industry. Ludie is the mother of three, grandmother of five. She loves to exercise, travel, decorate for each season/holiday, and have fun with her family and friends. She works hard, plays hard, and enjoys life to the fullest every day! I believe we’re meant to learn from each other, develop a strong sense of community, and love on each other. OnSite’s version of corporate wellness provides me the opportunity to do this while also allowing me to express a high level of creativity. I absolutely love it. I’m a science geek on the side, especially when it comes to astronomy and astrophysics. I also love spending time with my little family and finding any way I can get creative. I took first place in my county’s 45 pound wrestling weight class when I was 4. 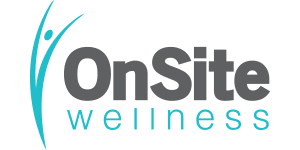 OnSite Wellness has been a home to me for over 12 years now! I started with a passion for helping individuals – now my passion is providing the right tools so that our team can do that themselves. I love working here because the team is kind, the leaders are like family, and our platform is great for encouraging well-being. My family (hubby, two kids and dog), beach/indoor volleyball, and getting involved in community activities. I haven’t gone to a movie theater in years because I can’t stay awake for the whole show. Well, because I own it! I enjoy working with people. I also believe we help make the world a healthier place one person at a time and help companies provide healthy environments. My 6 grandkids, spending time with friends and family, and walking the golf course (mixes two of my joys – walking and competition). But not necessarily in that order! I used to teach quilting classes. There is nothing more important or meaningful to me than helping people be their best. And so when I get to journey with someone as they discover how to align the different parts of their life toward their goals and hopes, there’s nothing better. I was allowed to ‘drive’ a freight train for a few hundred yards when I was 8 years old. My why has changed many times over the years. Today I do what I do because I truly enjoy helping organizations become the best that they can be. I enjoy time with friends and family while watching sports, sipping wine at a winery, drinking a beer at a brewery, hanging out on a beach or watching a sporting event. I also enjoy spin and barre classes, taking walks and some occasional couch surfing. I learned to tap dance as an adult. It was the best stress relief for a busy working mom when my kids were young! I’m all about the people. If I can play even a small role in helping someone live their best life then I am all for it. I haven’t always lived the healthiest lifestyle so I know how important it is to try our best to do this. I may be the “Health Coach,” but so often I leave being the one that is inspired by those I interact with. Sports: watching, playing, or looking up stats. Craft beer: Living in Beer City, USA has taught me a thing or two about its inclusive community. Try new things, have good conversations, and enjoy life – not all that different than what I believe wellness should be. I was part of the swim team in middle school where I was part of setting a school record. However, no one would know it was me because my last name is spelled wrong on the record board and I never cared to correct it. My goal is to empower people to be the best version of themselves that they can be. Working at OnSite Wellness allows me to do that every day! Spending time with family, taking long walks outdoors, cooking, and biking on my Peleton. I watch Jeopardy every day, either live or I DVR it! Nerd alert! I have a passion for helping people improve their quality of life. Life has a lot to offer and everyone should have the opportunity to enjoy it to the fullest. OnSite Wellness provides me the tools and resources to help make a difference in people’s lives. Rounding up my family and friends to try new adventures with me, learning new skills in nearly anything, and sewing! I love playing the ukulele but only a select few people know I even know how to play! I want to help others find their best quality of life. Working with other people on a daily basis gives me purpose, challenges me, and keeps me engaged. I love exploring what health and wellness means to other people while being able to share my knowledge and experiences. Getting outdoors, exploring and hiking, cooking, reading, gardening, and playing board games with family and friends. Empowering others through fitness and wellness is a personal motto and one that I live by. I work for OnSite to help individuals realize their body’s full potential. We were made to do work and feel good doing it. Helping others learn to live healthier is something I am very passionate about. Family, working out in a group setting, travel and time spent in the sunshine. I once jumped out of a plane…peer pressure got the best of me and it is a decision I don’t regret making now! Helping others reach their health and wellness goals has always been my thing, and working at OnSite Wellness is the cherry on top of the sundae! I live outside in my backyard during the summer months. Sunshine, water, friends and laughter…can’t get better than that. Volleyball is my sport, but don’t ask me to play at your backyard picnic. I’m obsessed with every “Real Housewives” show on Bravo TV. Yup, I’m a reality TV junkie! I am on a mission to empower people to be proactive about managing their health. Onsite Wellness allows me to do so in a professional yet approachable way. OSW has an incredible team of health and wellness professionals who are supportive and aligned with elevating the well-being of others. Spending time with loved ones, cooking, being active outdoors, practicing/teaching yoga, and sharing essential oils education with my community. I camped in the Sahara Desert. I love what OnSite Wellness represents and the great team of people working there! I have been in the industry for 25 years and I truly enjoy helping and teaching people the importance of making healthy lifestyle choices. We are all on our own personal wellness journey so lets take care of ourselves the best we can! I am passionate about Faith, Family and Friends! There is also nothing like a good book, a cup of coffee and a glass of wine. I had no voice on my wedding day 25 yrs ago from teaching too many aerobics classes that week. My purpose in life is to empower others to live their happiest, healthiest life. I’m passionate for walking with others along their health journey! I enjoy all things outdoors- hiking, gardening, camping, kayaking, skiing, and running to list a few. Most of my weekends are spent roaming through the farmers market, cooking and spending time with family and friends. I grew up on a farm and would show pigs, goats, lambs, rabbits and steers at the local fair every summer- I have ribbons and trophies to prove it. I have a passion for health and wellness. OnSite Wellness provides a unique opportunity to influence and encourage healthy lifestyles for people while they are at work. It is rewarding to be able to see and hear success stories as well as being able to support individuals along the way. Spending time with family, traveling, being outdoors, and eating great food. I’m adventurous: I have been skydiving, white water rafting, and next on the list, cage diving with great white sharks. Empowering others to reach a fuller, more healthy life is my mission. Finding the potential in others that they don’t see in themselves and overcoming goals they thought were impossible is so rewarding. Drinking too much coffee, reading sappy loves stories, water and snow skiing, laughing at my own jokes, walking around the neighborhood, and exploring new places. I’ve been dancing for over 20 years! It’s rewarding to help people understand simple lifestyle changes, which often results in positive & healthier ways of living. And, OSW staff are the best co-workers ever! A very dedicated, knowledgeable, compassionate, professional group of people. Time with friends and family, exploring new places, hiking, reading. And chocolate, I need a little every day. I care about what I eat so I turned it into a profession. Larger companies might restrict a Dietitian’s role in preventive wellness, but OnSite Wellness encourages me to be creative in my practice. Volleyball, hiking, walking my dog Bentley and cooking. Put me anywhere near a lake with some good food and good company and I am content. I entered my first and last beauty pageant at 13 years old. I played the Flintstone’s theme song on my clarinet for the talent portion. I did not win the pageant. I enjoy interacting with people and encouraging a healthy lifestyle. I like the challenge of learning new things. My family is my priority and golf is my favorite hobby. I taught Physical Education for 30 years. I am still on the school schedule in many ways. Especially about 3:00pm and in the summer months. I love talking nutrition and motivating others to achieve their health goals. I enjoy focusing on “real” food ingredients and helping people find balance in the foods they eat. Spending time with family, traveling, and trying new foods. I went skydiving with my dad when he turned 50 years old.